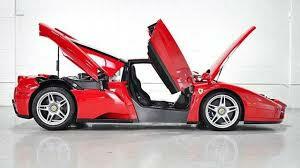 We broke the story … Floyd put his ultra-rare Ferrari Enzo up for sale last week — and now, his personal car dealer at Fusion Luxury Motors, Obi Okeke, tells us the response has been INSANE! But the best part of the story … Okeke says several people have made full-price offers — but they each come with interesting caveats. Okeke says 3 of the potential buyers are people who have made Forbes’ Billionaires List … though he says he’s going to keep the names private for now. We’re told Floyd has scheduled a meeting with Okeke to decide how he wants to proceed with the sale.